Home » How do songwriters write songs for other singers? How do songwriters write songs for other singers? To write for another singers/artist requires that you understand what message or image they portray. Every singer picks certain songs because they want to express their beliefs. A good way to start is to go through and listen to past songs. If their is any press or interviews in the media check them out. That way you can get a decent representation of what they stand for. If you can, contact them directly or though their manager or producer. They will have valuable insight into what the singer is wanting. It is also important to know and understand the music genre that they are most comfortable with. As a songwriter to also must be comfortable that the same genre. When writing a melody, write in such a way as to match the range of the singer. Depending on what access you have to the singer and if you have an existing relationship you may consider co-writing a song. Of course the more popular the singer is the more difficult this will be. However, if it a new or emerging singer there can be less barriers. 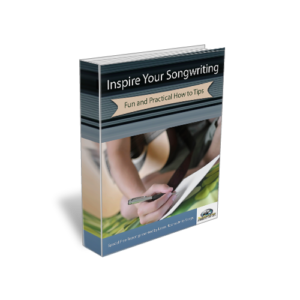 « How do songwriters go about composing music? Strange to think how proper sleep, exercise and food come into play, but it can. Just think of this: Food is your body’s fuel. Without fuel, your body wants to shut down. That is why people who aren’t healthy are tired more often. When you’re in shape, your metabolism will rise giving you an extra supply of energy that you can use to focus onto music or whatever. Does that mean that if you’re out of shape and not eating right that you can’t make good music? Of course notÉ However, when you do choose to eat right and get in shape, it will help you keep your focus and energy for a longer period of time. I can’t stress enough how different one feels when they choose to get in shape.